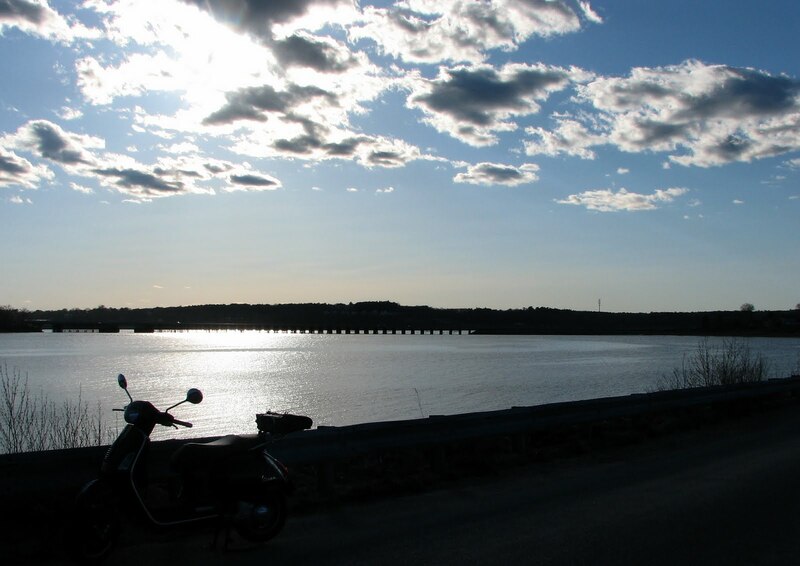 Yesterday I passed my motorcycle road test, meaning that I can now ride at night. Of course, my 62-year-old eyes aren't pleased, since they no longer bounce back after seeing oncoming headlights as quickly as they once did. But I can stay out later now. I don't have to worry that some cop will wonder why that old man on the Vespa is out after dark: "Shouldn't that fogey be home taking care of his great-grandchildren? I'd better stop him and find out." When I took the picture below last week, I knew I had only a quarter of an hour to scoot home. Now, I can stay out past my bedtime - if my dear wife lets me. Here is another moose photo for Steve of "Scooter in the Sticks," along with a chart clearly illustrating why this frightened scooterist/photographer will never provide a picture of a real moose. But Maine is full of them, Steve, and you are welcome to flush a moose out of the woods and ask him to pose! I'll watch from a distance - a really long distance. 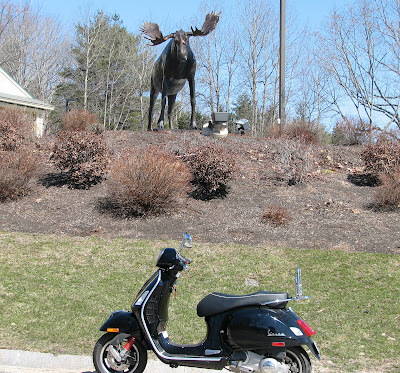 This particular moose can be found guarding the entrance to the Fairfield Hotel in Freeport, Maine. I call this photo "Moose looks askance at Vespa." 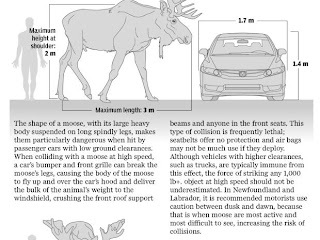 And here is a comparison of a man, a moose, and a car. 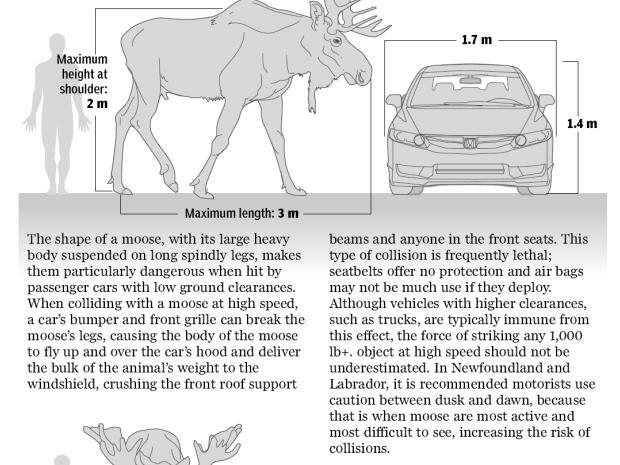 There is no scooter, because scooter people are too wise to visit moose up close, even for a drawing like this.